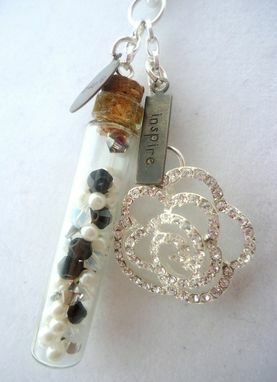 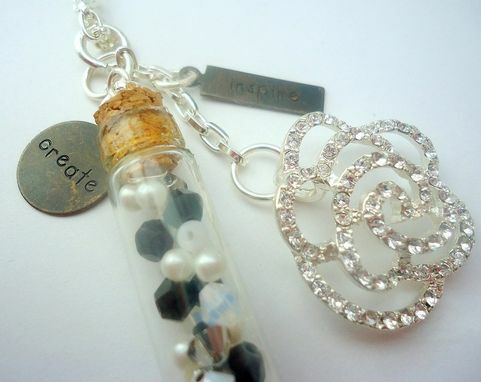 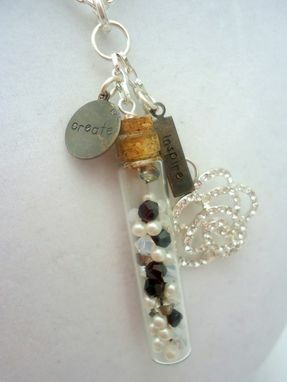 Swarovski Crystal Rose Pearl Glass Vial "Create" Necklace, "Soul Verbs"
Get inspired to create while wearing this beautiful necklace made with a Swarovski Elements rose, corked glass tube vial filled with black and white Swarovski bicones and pearls, and two hand-stamped metal labels stating "create" and "inspire". 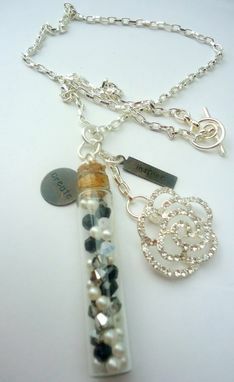 The entire pendant, measuring 2 3/4", is suspended from a silver chain measuring 18" and closes with a toggle clasp. 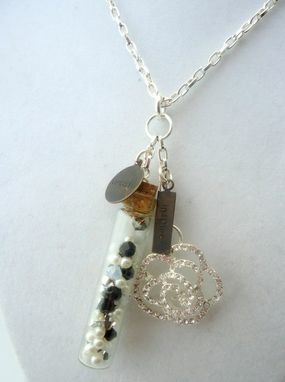 This necklace has great movement when worn!